Barclaycard presents British Summer Time Hyde Park, one of the world's best outdoor venues, will star yet another world-class headliner and legend Roger Waters in 2018. In the Californian desert, at Desert Trip in 2016, Roger’s performance featured the biggest quadrophonic sound system ever built. His recent sell-out shows have seen some jaw dropping moments – the rising towers of Battersea Power station evoking the cover of the classic Pink Floyd album Animals, the iconic pigs floating over the audience and a Spitfire crashing into the stage. The new tour promises to be no exception. 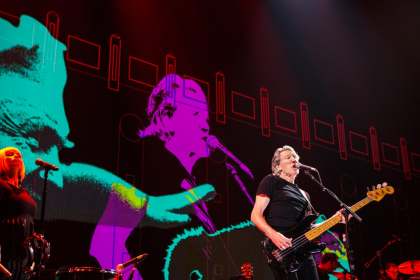 A full UK tour is also announced, as Roger Waters – Us + Them marks Waters’ first European tour since The Wall Live (2010-2013), his sold-out world tour which was seen by more than 4 million fans globally at 219 shows and remains the highest grossing tour by any solo artist in history. After 63 sold out shows in the US and Canada in 2017, Roger Waters ‘Us + Them’ tour will visit Austria, Belgium, Bulgaria, Croatia, Czech Republic, Denmark, Finland, France, Germany, Holland, Hungary, Ireland, Italy, Latvia, Lithuania, Norway, Poland, Portugal, Russia, Spain, Sweden, Switzerland and the UK in 2018.